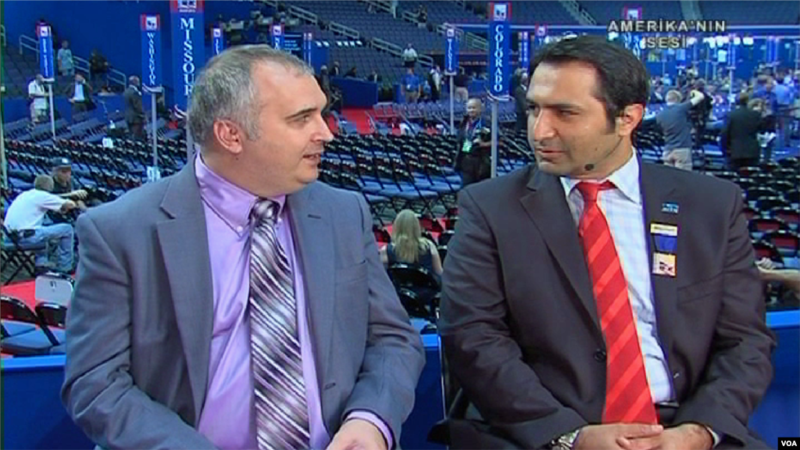 1 Turkish Service reporter Alp Esmer interviews Ersal Ozdemir, the only Turkish-American delegate at the Republican Convention, on a live show for an affiliate in Turkey. 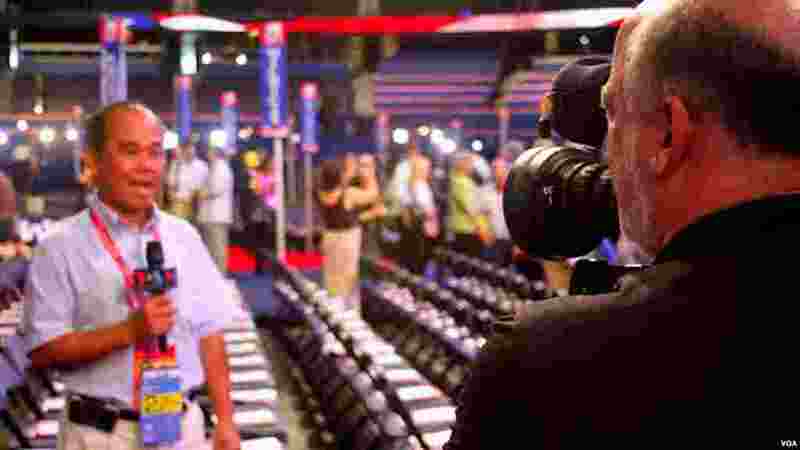 2 Reasey Poch of the Khmer Service reports from the floor of the Tampa Bay Times Forum. 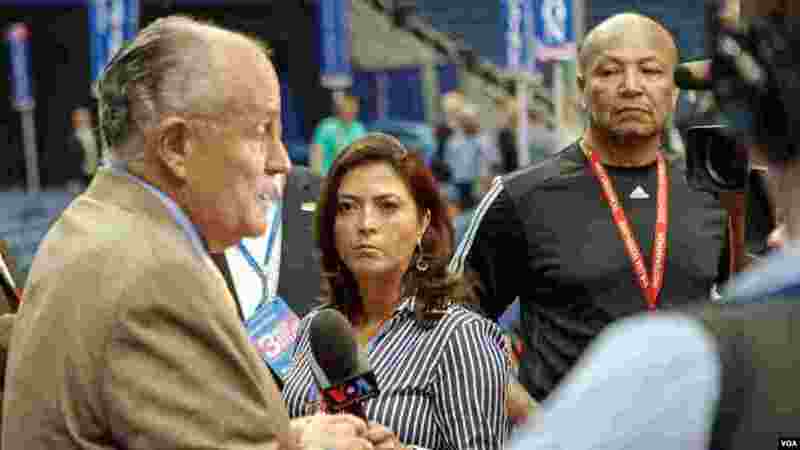 3 Former NYC Mayor Rudolph Giuliani speaks to VOA Spanish's Lina Correa on the floor of the RNC in Tampa, FL. 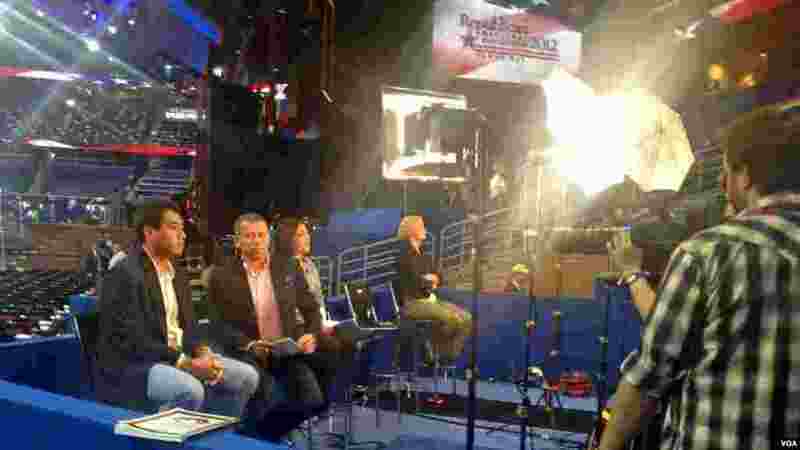 4 Gilberto Cabrera from the Spanish Service on VOA's standup platform at the Republican Convention in Tampa as he waits to do a live shot with a VOA affiliate in Latin America.